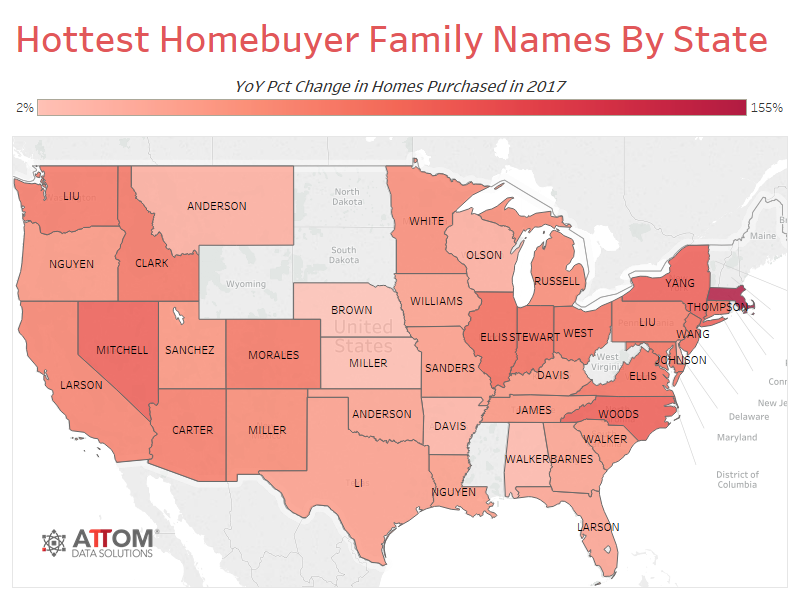 Although home sales dipped 4 percent year-over-year in 2017, Attom Data Solutions’s latest analysis of buyer last names on more than 2.3 million single-family home sales deeds nationwide revealed that buyers with Chinese, Korean and Vietnamese surnames were out in full force. Sales to buyers with those surnames increased by as much as 20 percent in 2017, while sales to buyers with the surnames of Burns, Porter, Jenkins and Cole decreased by 15 percent. The Chinese surnames of Lin (+30 percent), Zhang (+25 percent), Wu (+24 percent), Liu (+24 percent), Huang (+22 percent), Chen (+19 percent), Wang (+18 percent) and Li (+18 percent) led the way with the majority of their transactions taking place the coastal hotspots of New York City (2,447), Los Angeles (2,124) and Seattle (1,416). Rounding out the top 10 were buyers with the Korean surnames of Yang (+14 percent) and Kim (+5 percent), and much like their Chinese counterparts, Korean buyers favored Los Angeles (914 transactions), New York City (401 transactions) and Seattle (325 transactions). Buyers with Vietnamese surnames favored Los Angeles as well (1,215 transactions), but they also made their mark in the Lone Star State with 730 transactions in Houston and 651 transactions in Dallas/Fort Worth. 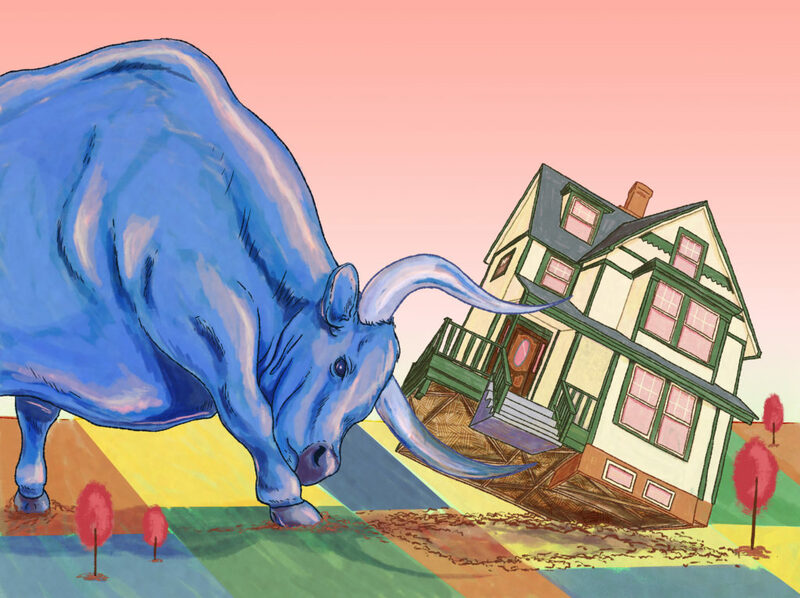 How did buying patterns vary across the country? On the state level, Liu was the only surname to take the top spot three times. In 2017, Liu was the most popular buyer surname in Maryland (+74 percent), Pennsylvania (+64 percent) and Washington (+68 percent). Smith, on the metro level, was the most popular surname in eight of 64 markets with at least 1,000 single-family home sales in 2017 and sufficient buyer name data — Dayton, Ohio; Des Moines, Iowa; Fayetteville, Arkansas; Greeley, Colorado; North Port-Sarasota, Florida; Spokane, Washington; Winston-Salem, North Carolina; and Worcester, Massachusetts. Johnson was the hottest buyer surname in five metro areas, and Brown, Williams and Li were the most popular in three. 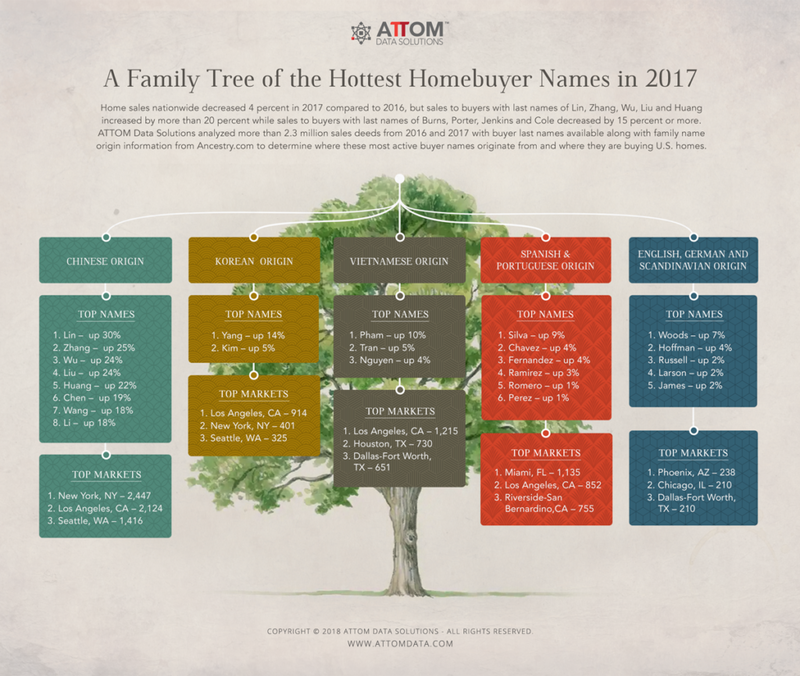 For this analysis, ATTOM looked at buyer last names on more than 2.3 million single-family home sales deeds nationwide in 2016 and 2017 to determine the hottest names based on percentage increase in home purchases. The analysis also looked at family name origin information from Ancestry.com for the hottest homebuyer names, as well as where these buyer names are most active by local market. To determine the hottest homebuyer last names for each state we looked at names with at least 1,000 home purchases nationwide and at least 50 home purchases statewide in 2017.